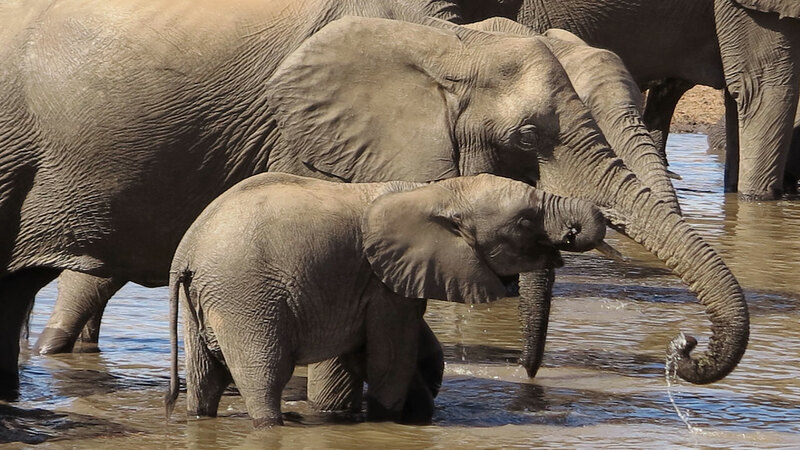 The Trump administration said it will allow the importation of body parts from African elephants shot for sport, contending that encouraging wealthy big-game hunters to kill them will aid the vulnerable species. The U.S. Fish and Wildlife Service said in a written notice issued Thursday that permitting elephants from Zimbabwe and Zambia to be brought back as trophies will raise money for conservation programs. The change marks a shift in efforts to stop the importation of elephant tusks and hides, overriding a 2014 ban imposed by the Obama administration. The new policy applies to the remains of African elephants killed between January 2016 and December 2018. "Legal, well-regulated sport hunting as part of a sound management program can benefit certain species by providing incentives to local communities to conserve those species and by putting much-needed revenue back into conservation," the agency said in a statement. The move was quickly praised by groups that champion big-game trophy hunting, including Safari Club International and the lobbying arm of the National Rifle Association. The two groups had sued to challenge the ban in court. "By lifting the import ban on elephant trophies in Zimbabwe and Zambia the Trump Administration underscored, once again, the importance of sound scientific wildlife management and regulated hunting to the survival and enhancement of game species in this country and worldwide" said Chris Cox, executive director of the National Rifle Association's Institute for Legislative Action. "This is a significant step forward in having hunting receive the recognition it deserves as a tool of sound wildlife management, which had been all but buried in the previous administration." President Donald Trump's two adult sons are avid trophy hunters. A photo of Donald Trump Jr. holding a knife and the bloody severed tail of an elephant he reportedly killed in Zimbabwe in 2011 has sparked outrage among animal rights activists. Interior Secretary Ryan Zinke, who oversees the Fish and Wildlife Service, recently installed the arcade game "Big Buck Hunter Pro" in the employee cafeteria at the agency's Washington headquarters, a move he said would promote wildlife and habitat conservation. In June, the department removed longstanding protections for grizzly bears near Yellowstone National Park, a step to potentially allow them to be hunted. The world's largest land mammal, the African elephant has been classified as threatened under the U.S. Endangered Species Act since 1979. Illicit demand for elephant ivory has led to devastating losses from illegal poaching as the natural habitat available for the animals to roam has also dwindled by more than half. As a result, the number of African elephants has shrunk from about 5 million a century ago to about 400,000 remaining. And that number continues to decline each year. According to the United Nations, as many as 100,000 African elephants were killed between 2010 and 2012. For forest elephants, the population declined by an estimated 62 percent between 2002 and 2011. The U.S. decision comes as the longtime president of Zimbabwe was placed under house arrest this week by the nation's military, plunging the west African nation into political uncertainty. The U.S. embassy there has advised Americans there to "limit unnecessary movements." Tanya Sanerib, a lawyer with the advocacy group Center for Biological Diversity, called the timing of the Trump administration's announcement "bizarre." "Corruption was already a huge concern in Zimbabwe, and it's shocking that Zinke is lifting the trophy ban during a military coup," she said. "With tanks in the streets, whoever is actually running the Zimbabwe government just can't be trusted to protect elephants from slaughter by poachers."